AP-3230P Units: 6/pkg. Dimensions: 5" wide x 6¾" long x 4½" deep These clamshells have a generous height to hold pie or cake slices with icing and whipped topping up to 4 1/4" tall. 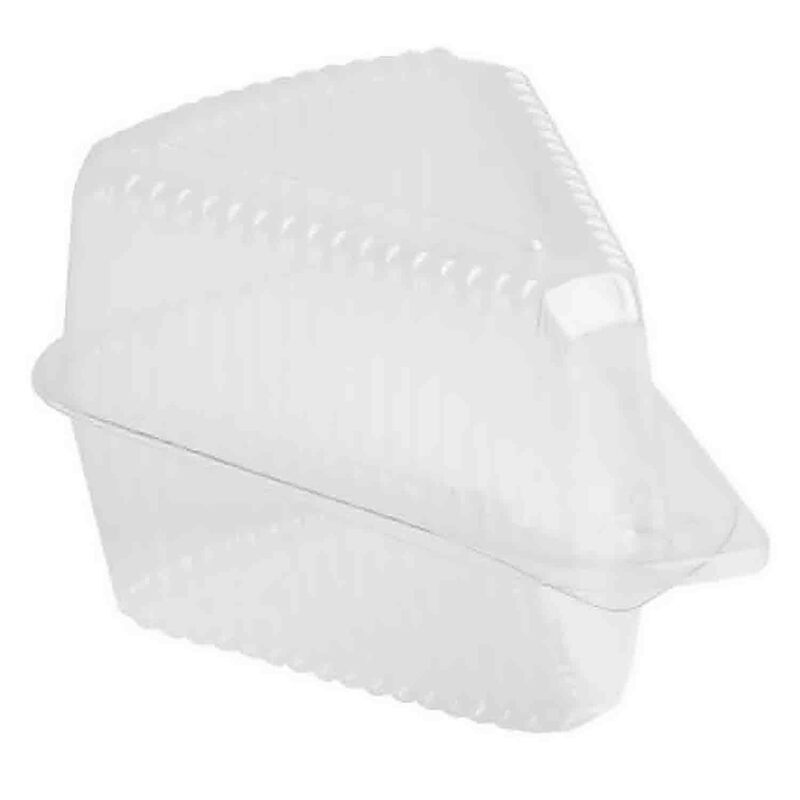 This plastic packaging has excellent clarity and durable strength. Plastic clamshells have a built in freshness seal to keep your baked items fresher longer. Perfect packaging for gift giving or left-overs. Plastic shells are heat sensitive and should not be stored in direct sunlight. These clamshells have a generous height to hold pie or cake slices with icing and whipped topping up to 4 1/4" tall. This plastic packaging has excellent clarity and durable strength. Plastic clamshells have a built in freshness seal to keep your baked items fresher longer. Perfect packaging for gift giving or left-overs.